Current selected tag: 'ebook publishing'. Clear. Robin Good: A useful reference to all that you need to know to get an ISBN number for your net eBook. When it is needed, how much does it cost, where to get it and what to do after you buy it. This FAQ was written for eBook publishers who may not be familiar with ISBN numbers. 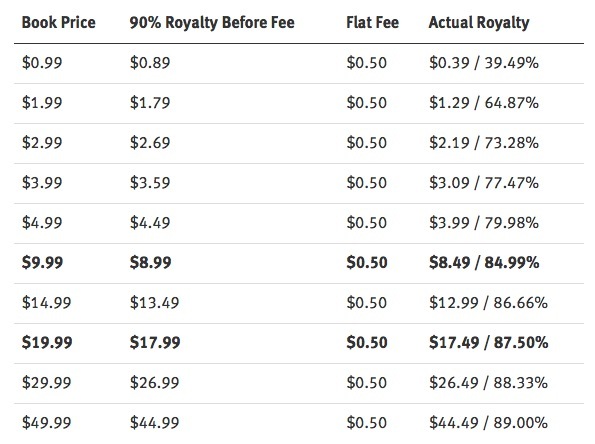 Authors keep 100% royalties (until July 4th 2012). From the article intro: "Thanks to the e-reader revolution, there are a lot of perks to self-publishing these days, but one of the downsides is that you’re on your own for funding some of the basic necessities, such as cover art, editing (this alone can be $1,000 and up for a novel-length manuscript), and formatting. Once you start making money, and have reserves from previous sales to draw upon, it gets easier, but lots of independent authors struggle to come up with the initial funds. I’ve run into some authors who have used a site called KickStarter to help with start-up costs. Last year, I interviewed Miranda MeiLin, an indie fantasy author who successfully funded her first ebook and paperback using KickStarter. "Forty-eight people bought pre-sale packages to the tune of $2500. That paid for my editor, artist and typographer, and then the purchase and shipping of the paperback for those that bought the print package. The $50 presale bought them an autographed paperback, the finished formatted ebook and a thank-you in the acknowledgments, but the real attraction was that they got the raw manuscript as soon as my editor and I decided it was done (the $25 package was everything but the paperback). I finished on August 31st, 2010 at 9:30 pm; the raw manuscript was in their hands 24 hours later."